Clean design lines and aerospace grade materials define the B12 TB. 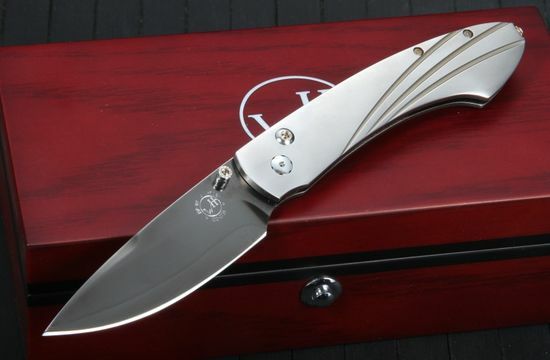 This William Henry pocket knife has really nice satin finished titanium handles and a blade with a cutting edge of ZDP-189 stainless steel. The blade of high-end steel is coated with a rugged black PVD coating. You can really enjoy the precision of this cutting tool from the light weight, strength and smooth opening. The knife closes with a depression of the button lock on the handle. 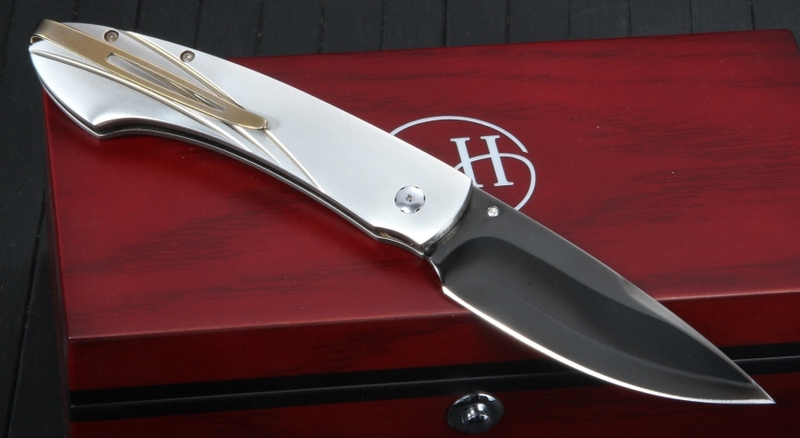 This B12 TB model is a limited edition of only 500 individually numbered knives. The thumb stud and button lock release is inlaid with smokey quartz stone gems. 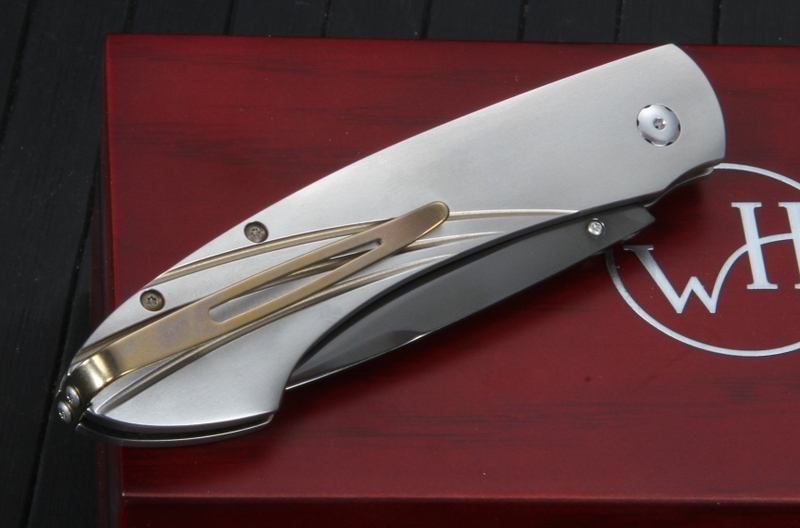 The folding knife comes with a titanium pocket clip mounted for convenient tip up carry. The B12 TB comes with a dark wood presentation box and certificate.